UU Growth: Alternatives to the "Community Building Strategy"
The purpose of our congregation is to your point of deep connection to the global movement for justice. Your UU congregation will be place where you will hear serious talk about the issues of global justice in all their intersected forms: on a local level, regional, national and global level. Here you will be invited to participate; here you will challenged, inspired, and educated; here you will sing songs and clap your hands and here you will meet other people in your community who are similarly motivated. Here is where your children will grow into global citizens. We cultivate the virtue of solidarity.We are an institution with a purpose: to contribute to the global movements for justice. 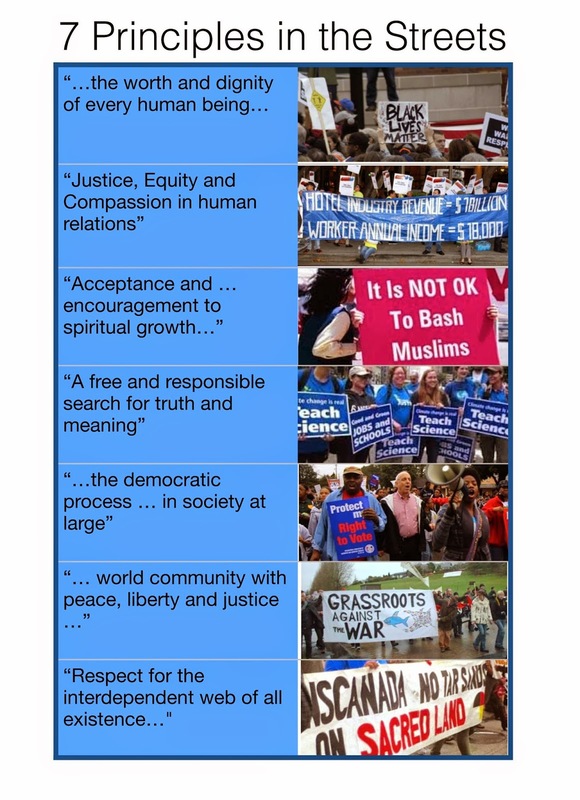 Many congregations already are putting a strong emphasis on actively participating in the global movement for justice. "We are a welcoming and loving community for all, dedicated to meaningful and inspirational worship and lifelong spiritual growth. We find strength in diversity and commit to be a prominent force for social justice and stewardship of the earth. We aspire to take very good care of ourselves, each other and the world [emphases mine]." -Mission statement of the Unitarian Universalist Church of Akron, the winner of the 2014 Bennett Award. We're growing at a good clip, which suggests to me that you're onto something here. How is what you describe here not just a community organization rather than a religion? 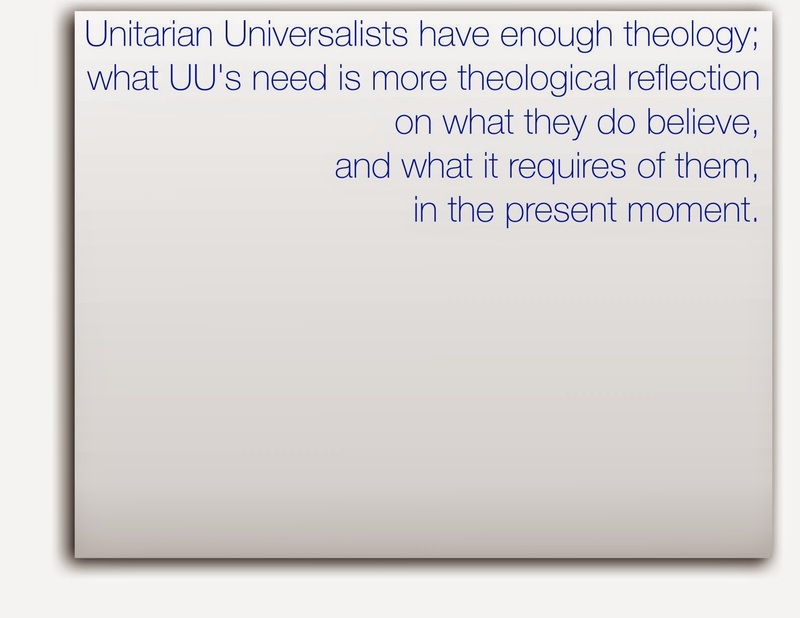 I feel like if this suggestion were indeed the primary purpose of Unitarian Universalism, I would have never become a UU. And I'm now a religious professional. I can't speak for Rev. Schade, but my answer is that it is religious because a real commitment to global justice is essentially a religious commitment. It can be motivated only by a morality which transcends even enlightened self-interest. Look at the prevalence of libertarians and libertarian-leaners in the organized atheist movement to see by way of contrast what I mean by that (and I say this, with sorrow, as a non-theist myself). A dedication to service and justice is inherently an extra-rational values commitment and is in my opinion pretty much what liberal religion is all about, and the reason why it is needed. And yes, I would identify some social movements that do not call themselves religions as being religious in that sense. I think a view of religion that does not recognize this is an impoverished view.